He’d arrived at the location and he was armed & dangerous…. It doesn’t seem to matter how much parents push the message that violence doesn’t pay, eventually some kids will fall in to bad company and good business. Which was exactly where I had found myself. Ah. Conker fights. Is there anything quite like them?! The thrill of forcing your parents to drive you to the perfect foraging ground so you could find that brown, round and shiny piece of natural beauty (turned weapon of mass destruction) to inflict misery on your school friends and foes alike? I think not. Back on the playground, and with no time for pleasantries, we nonchalantly acknowledged each other and deferred the formalities to our independent adjudicator; James from Year 6. With weapons checked and declared suitably fit, we checked the coast was clear (of dinner ladies) and took our stances to begin. As standard in these kind of violent affairs, the first few shots fired left something to be desired, whilst we struggled to find our eye. A couple of air shots, followed by one or two hilarious (yet excruciating) knuckle blows. Textbook. But then it happened – the first sickening blow. A hairline crack could be seen in my shell, which I brushed off as a result of the poor lighting. Like a boxer picking himself up from the canvas, I delivered my own round of heavy hitting. Though it seemed to lead to more self inflicted damage if I’m perfectly honest… as each passing shot was exchanged, our 10 year old fates became clearer. Whilst his armoury glistened in the afternoon sunlight like Exclaliber, the monstrosity that hung from one of my grandads old shoelaces was in a tired & sorry state. ‘Finish him’ came the cries from the crowd as they bayed for blood, by now the dinner ladies having relaxed their ‘zero tolerance’ combat rules to secure their own place in the front row. And with a windmill like warm up swing, the knock out punch was thrown. One arm raised, one conker in pieces & and one empty shoelace blowing gently in the breeze. I was devastated. Of course later years would prove that Andrew was the filthy cheat that he had long been suspected as being. It turned out that he’d used vinegar, baking and varnishing techniques to cement his place at the top of the playground rankings. And whilst they may say ‘nice guys finish last’, I hear that when the ‘Pogs’ revolution kicked in a few short months later, he was really taken to the cleaners (I loved the 90’s)! Oh Andrew, how the mighty have fallen. But where the spirit of competition had been made so murky by the lure of school yard competitiveness, I recently came across an altogether clearer spirit that I think I can get onboard with. And whilst it may share a name with aforementioned memories, this is a battle where no one leaves a loser! Allow me to introduce you to my new weapon of choice; ‘Conker Gin’. ‘Nestled in the backstreets of Bournemouth, and ‘Conkering’ since 2014, Conker Gin is the brainchild of Rupert Holloway and the result of Dorset’s very first gin distillery. Fed up of life as a chartered surveyor, and disillusioned by the sad reality of not being able to find a local gin on the menu at any of his regular watering holes, Holloway’s journey in to the world of gin reads similar to a motivational ‘chase your dreams’ story; quit the day job and do something you love! And where Holloway may have been poor in cash, he was rich in ideas, ideals and a uncompromising pursuit for quality. Working with gin aficionado David Smith, from Summer Fruitcup (be sure to check out David across social media @summerfruitcup), the pair tirelessly refined recipes & botanical lineups until they eventually struck gold. And they’re doing things a little differently down south… yes you’re going to find juniper at its heart (Macedonian, if you’re asking), but the inclusion of elderberries, samphire and New Forest gorse flowers amongst its menu of 10 botanicals, drenched in New Forest spring water, is what’s got me really excited! Let’s start at face value; the bottle. And boy is it a looker! The labelling and font makes it a standout on the back bar – clear, bold & purposeful. There’s even a playful nod to childhood conker fights, with the ‘o’ hanging precariously in wait from the ‘C’. The yellow, gold and bronze colour scheme continue the theme of the autumnal season, with the Conker imagery proudly reaching out of the rust coloured stopper. But if you think that this is a brand who may be trying to tie in a gimmick, you’d be told you were wrong. No literally, it says it on the bottle; ‘No gimmicks. No fuss. Just top notch small batch gin’. And it’s a claim that’s backed up by their almost Pinterest beautiful hand-labelling, with distillers signature & batch number neatly and individually marked up. I’m a sucker for the personal touches! Conker describe their gin as being free from the constraints of tradition, in the pursuit of the new and exciting, with a ruthless focus on quality. And with the neck of the bottle triumphantly declaring ‘that’s the spirit’, I feel compelled to see what’s hanging at the end of this metaphorical shoelace…Conker at the ready. On the nose it feels big, fresh and crisp. There’s an alcohol intensity to the vapours that seem far harder hitting than the gins modest 40% mark up would suggest. Scents of grapefruit waft around the glass, with a supporting herbaceous backing cast. There’s a zesty acidity to the fragrance, with bolder lime notes pushing their way to the front as the gin is left to open up a little. Juniper weaves its way throughout, with delicate pine scents steadying the ship and neatly holding everything together. It’s not often that I’m surprised but, when tasting Conker neat, my eyes actually widened as I proclaimed ‘wow, I wasn’t expecting that!’. The zesty, citrus profile that greeted the nose, whilst still evident, is initially replaced by flavours of sweeter plump red fruits – the elderberries taking more of a centre stage as the gin sloshes around your tongue. There’s a beautifully balanced sense of rich earthiness to back up the fruitier botanicals, coming from the angelica and orris, which is well rounded against an almost calming chamomile backdrop. And just to make sure you stay grounded in the classics, those homely faithfuls of piney juniper & herbal coriander still make their presence known. Now for me, this screams ‘get me in a Gin & Tonic’ all day long! Served over a generous portion of ice, alongside a premium light tonic water and a wedge of fresh lime, this is the perfect way to get those tastebuds prepped and ready for the warmer summer days to come! (and if the summer never arrives, just stick a pair of shorts on, close the curtains & grab the gin. Same thing really…). As I cradled the remnants in my glass, which had gone down far too well, I was left to my final thoughts. 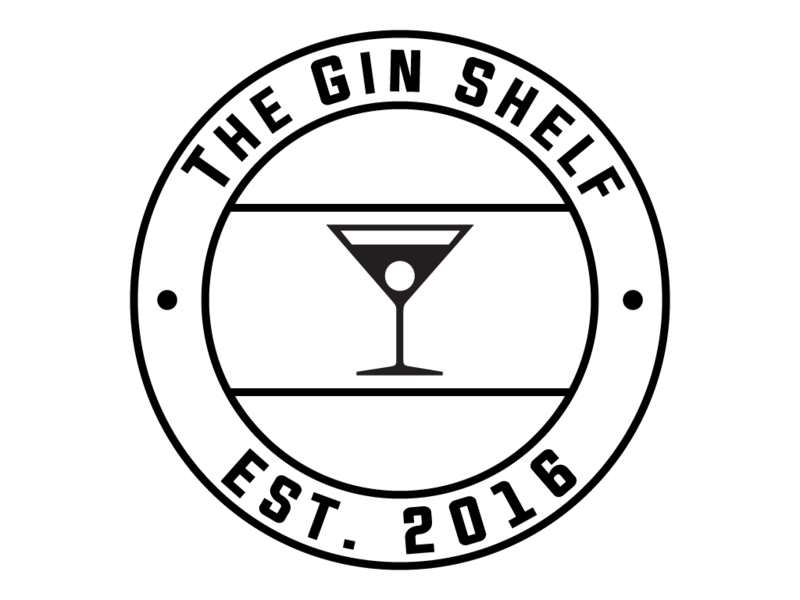 This is a beautifully rounded gin that really does have something for everyone! Zesty citrus, ripe red fruits, earthy warmth & piney juniper. In some ways it’s a classic. In others, it’s innovative and unique. In every way, it’s delicious. With thanks to the team at Conker for my complementary bottle! Make sure to check out their website at http://www.conkerspirit.co.uk & hear more from the team across social media!